Taking advantage of the seasonal pumpkin wedges still available pretty much in every Italian market and grocery store, and an optional, yet often shared by many, passion for bacon or some cooked ham and ale, we came up with this wintry risotto recipe par excellence. Its golden color will reactivate your solar and sacral plexus, totally warming you up from your inside out. 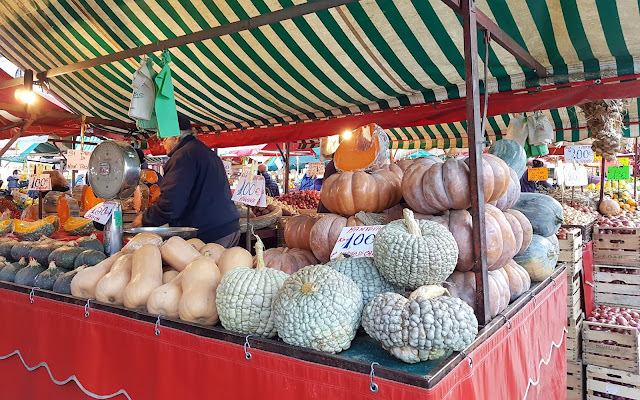 Pumpkin is a common ingredient in the Northern Italian cuisine and it is also rather versatile as besides risottos, you can also make gnocchi, soups, raviolis, breads and focaccias. Bacon and ale speak for themselves as they can be enjoyed on their own and always add an extra touch wherever you use them. Naturally, though, like in fashion, they can also be left out, both or only one of them, depending on the personal dietary preferences, or for a more simple taste. If you fell victim of the cold or are experiencing a throat-ache or earache, we recommend you add 1/4 tsp - 0.75 gr of ground turmeric and a pinch of pepper to activate it. This simple touch will add extra color and healing power to your risotto, making it a super dish! 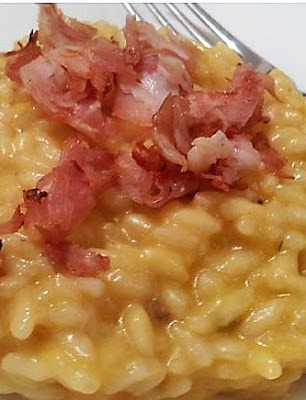 For the risotto basic recipe click here. Before serving, we normally like to fold in 1/3 to 1/2 a cup of heavy whipping cream and sprinkle our risotto with parmesan cheese, but you are welcome to experiment and try subbing the cream with 2-3 tbs of some fresh cheese like ricotta. 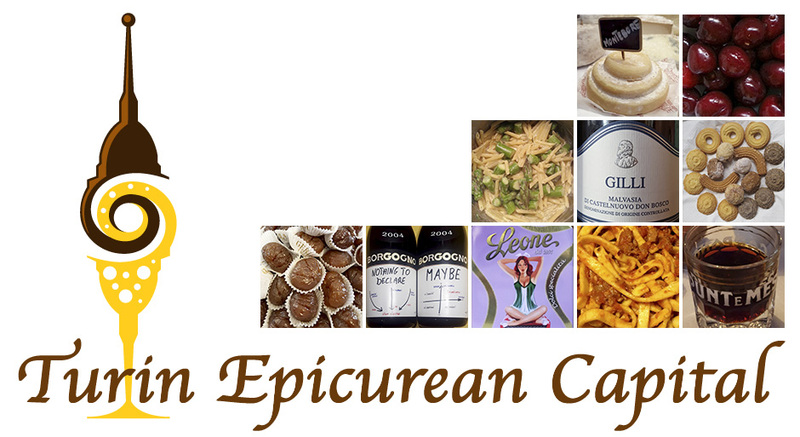 Even better if you have access to Piedmont robiola cheese or toma. For extra crunchiness and color contrast, bacon lovers can top their plates with sizzled bacon bites too. Wherever bacon isn't readily available, try some sizzled cooked ham like in the picture. All you need is a skilled to sizzle the ham in its own fat. This risotto pairs well with all kinds of meats - think of roasted turkey or pork roast, as well as all vegetable side dishes: from French fries to bulgur salads. What to drink with this wintry risotto? if you love beer, you should totally drink the same red ale or mild beer you used to sauté the rice. Turin has always had many breweries and Piedmont is home to many labels! 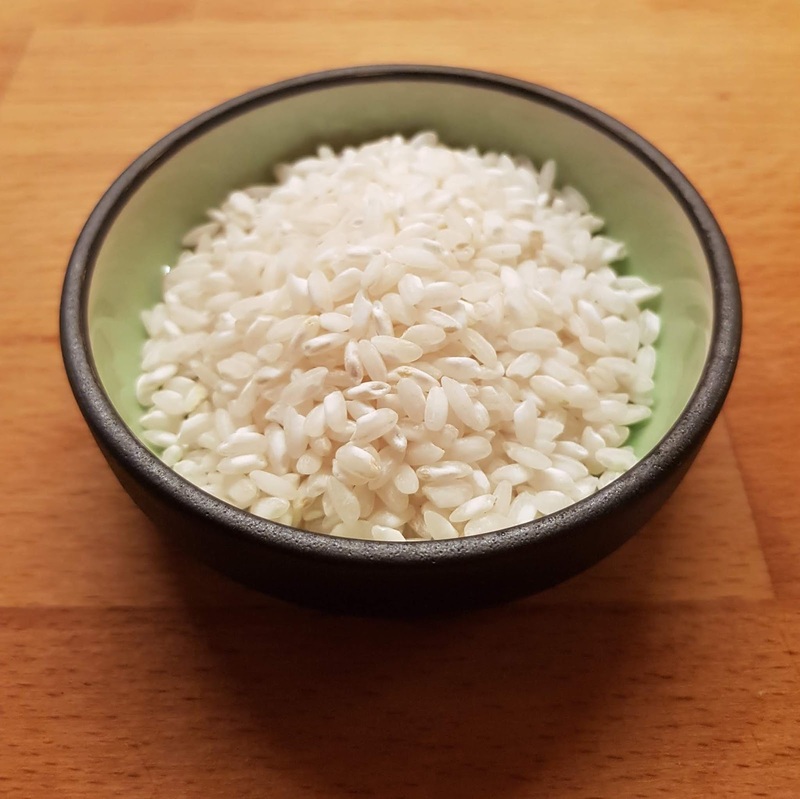 To learn how to make risotto like a local Turinese and to try new local versions in town, include one of our cooking classes and experiential tours to your travel to Turin.